Express Forwarders Limited was established in 1969 and is a privately owned International Freight Forwarder and has remained a family business. The directors are involved in all of the day to day operations ensuring an efficient and cost effective service. Our directors and some of our staff have been with the company for over 25 years, as have some of our clients. This ensures you speak to the same people each time and they understand the service you require and the way you work. Here at Express Forwarders we believe our job is to provide a trouble free movement and to advise on all aspects of shipping including any documentation that is needed. This is why we believe many of our customers are still shipping with us from our formation some 43 years ago. Our staff are able to oversee loading, packing etc should your time frame not enable this, and are contactable 24 hours a day should this be required. 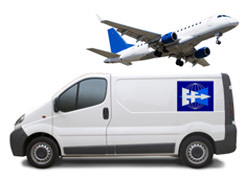 Express Forwarders are expert freight forwarders who specialise in providing top international courier services to customers in the UK and worldwide. As a renowned freight forwarder we are in an excellent position to offer cheap international shipping rates across the board. 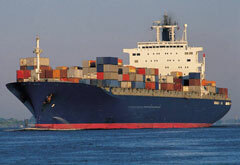 We can beat most international shipping companies so please contact us about our rates. There are many international moving companies around that offer global shipping but you need a company you can trust. We feel with our exemplary record that we are that company you can trust. While you are going to have the original copies of important documents on you, you should also have copies of everything. Put copies in various places on your person that are safe. This way, if something happens, you can prove who you are. This is especially important if you’re traveling out of the country. You need to be aware of your surroundings. This means noticing who is around you and what is going on, but it’s more than that. For instance, if you’re traveling far away from where you live, you need to know what is going on locally to a degree. What is in the news? You don’t want to walk into a major event that you’re not informed about. For instance, say you’re traveling to visit a certain place and they are ushering in a blizzard. That would not be fun! While you’re going to stick out as a tourist a little, you want to detract from this as much as possible. It’s important that you do everything you can to take away from the tourist look. If you’re in a different country, you’re going to want to make sure that you’re aware of where your embassy is located. In case of any problems, you want to be able to contact them or get there right away. You need their contact information on you at all times as well as other important numbers. You also need to make sure your cell phone is fully functional for you when you are out of the country. This is important so that you’re not stuck without proper communication. You want to be able to make phone calls when needed. You need to carry traveler’s checks and have some currency converted prior to arriving at your location. While you probably won’t have to worry about this, traveler’s checks are much better to have on you anyway. You don’t want to be stopped from buying the things you need. It’s time to get serious about your travel plans because you want to ensure that your family has the best experience. You want to have fun, but first and foremost you want to make sure that everyone stays safe.